No one wants to be hot in the summertime. When temperatures start to rise, a vast majority of people look for ways to stay cool. For some, this means taking a dip in the pool or heading off to the ocean for some relaxation. Since it is not always possible to find a body of water to cool down in, plenty of homeowners prefer simply cranking up the air conditioner on a scorcher of a day. If this sounds familiar to you, then you want to make sure your AC is in great shape before summer begins. By investing a little bit of time and energy into the correct air conditioning services, you will have a much easier time keeping cool throughout the season. Take a moment to consider a couple of these points. 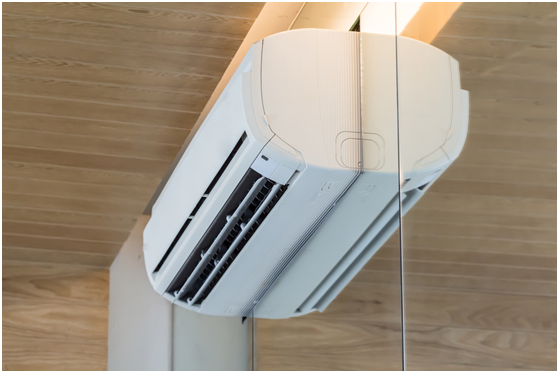 By taking the right course of action with your AC and giving yourself plenty of time to deduce an issue, you will be able to enjoy the hotter months in a more comfortable way. Time is a big factor when it comes to comfort. If you wait too long to check out your AC before the summer comes along, then you will have no idea whether or not you are dealing with a real problem. Living in a climate that has all four seasons means that your AC is not always being used. This inactivity can be bad for the mechanical elements of the unit. Before summer starts, it is a wise idea to run the AC for a bit and try to listen for any problems. There are a couple of warning signs to look for here. For one, you want to make sure that there are no strange sounds coming from the unit. If you hear some awkward or loud noises emanating from the unit, it means that there could be something wrong. Likewise, peculiar smells or smoke can be a telltale sign that your AC needs some repairs. Contacting experts who specialize in air conditioning repairs can help you to figure out exactly what you need to do next to keep your home cool this season. While it can be beneficial to take a look at your AC with plenty of time to spare, the maintenance does not end there. You also have to stay on top of specific tasks in order to get more use from your unit. One of the most important moves that you will need to make over the course of the summer is changing the filters on your unit. The filters play a very important part in the overall operations of your unit. Without filters, the air would contain much more dust and dirt. The filter catches loose particles in the air as they pass through the AC. Unfortunately, this can lead to the filters clogging a bit. If you do not change the filters in the correct amount of time, your AC will have to work twice as hard to keep your space cool. This additional pressure on the system can cause more complicated mechanical issues that you will have to address. Avoid these problems by staying on top of when you need to change your filters on your air conditioning unit. It is not always easy to keep cool in the summer. If you find that you are dealing with unforeseen problems with your air conditioning unit, then you need to take action as soon as possible. When you invest in the right repair services in advance, it can help you to beat the heat and keep as comfortable as possible. Be on top of maintenance like changing the filters to get even more from your home this season.